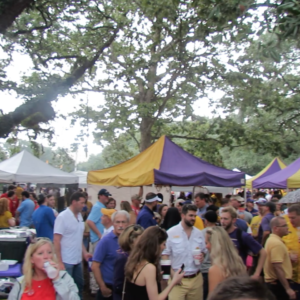 The widespread tents packed with tailgaters, and the hoards of fans lining up for the pregame Tiger Walk was an indication that over 100,000 would again pack Tiger Stadium despite the raindrops. 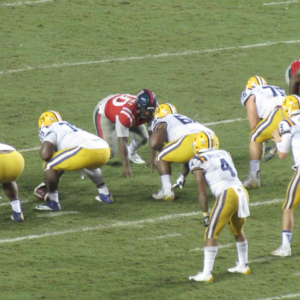 Hopes were high that their resurgent LSU team would climb to 5-0. 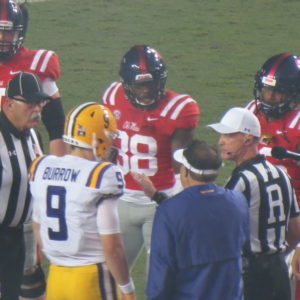 The Rebels jumped off to an inauspicious start when on the second play of the game, the Ole Miss QB threw the ball to the opposite jersey. The interception resulted in my first experience with the thunderous noise that Tiger Stadium can generate. 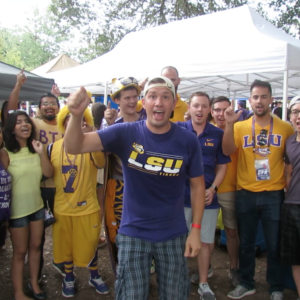 Fueled by crawfish and gumbo, the fans can really turn up the volume. 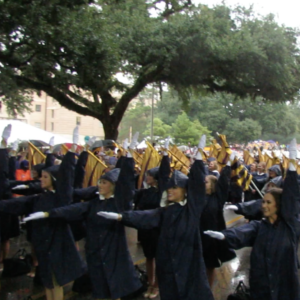 That reaction must’ve unsettled Ole Miss too because LSU fed off that crowd and dominated the first half. 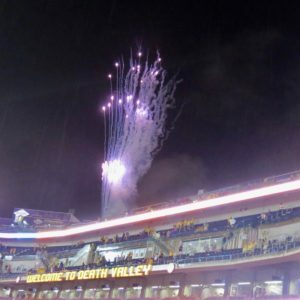 With the game seemingly in hand, many folks took off at halftime to avoid the steady sprinkling from the night sky. That didn’t slow the Tigers down, and somehow, the crowd remained unnervingly loud. 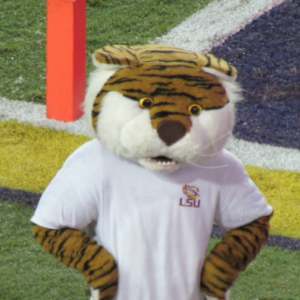 LSU won the game 45-16, and looks to be the main team that could unseat undefeated and consistent playoff representative, Alabama. 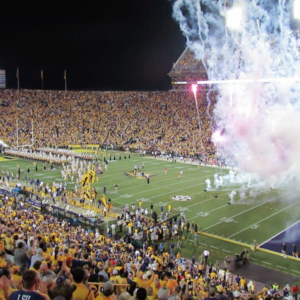 The Crimson Tide roll into Tiger Stadium in a few weeks. 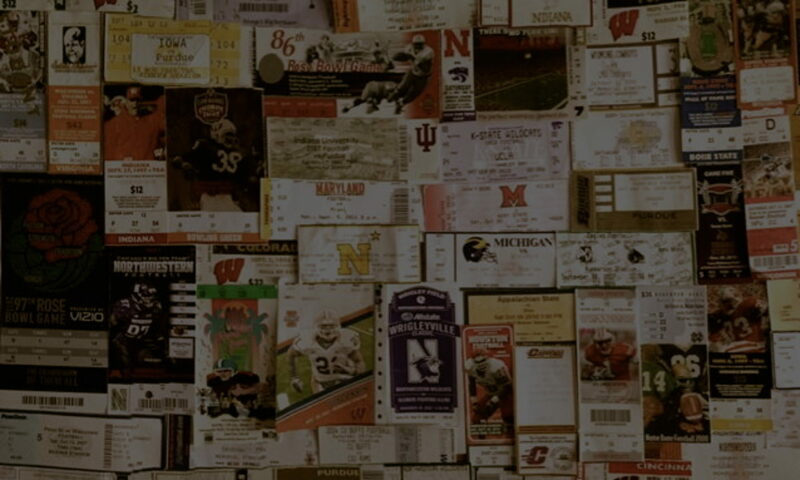 Add earplugs to the shopping list. 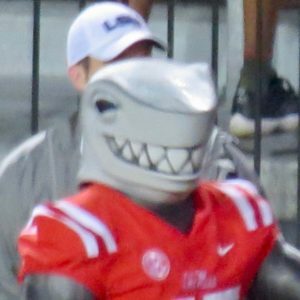 Landshark Tony – Ole Miss’s new mascot.